Prosecco is often compared to Champagne, but there is so much more to the sparkling wine than its “competition”. Prosecco is Italy’s most popular sparkling wine. Only produced in the Valdobbiadene region of Veneto, Italy, we’re going to learn about the distinct characteristics and history of this timeless sparkling wine. Prosecco dates back to the Roman era, at the time the wines were slightly effervescent. It wasn’t until the 19th century that a mildew and phlloxera epidemic changed how Prosecco was made. After a change in the wine-making technique, we begin to see our modern-day Prosecco. At the end of the 19th century, Venitian wine makers produced Prosecco using indigenous grape varieties such as Glera (also known as Prosecco), Verdiso, Bianchetta, Perera and Glera Lunga. It wasn’t until the 1930’s when Carpene Malvoti perfected the Charmat method, that we find the Prosecco that we drink today. In 1969, Prosecco finally obtained the DOC (Denominazione di Origine Controllata) status. In 2009, the status of DOCG (Denominazione di Origine Controllata e Garantita) Valdobbiadene Prosecco Superiore was introduced. 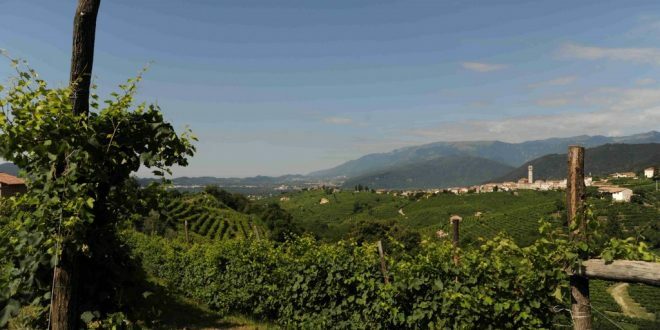 Conegliano-Valdobbiadene is the region where most Prosecco is made (it is produced in other regions of Italy such as Friuli-Venezia Giulia). There is a lot of precipitation in this region. This means that the best vineyards require great drainage, so that the vines are slightly distressed. More water, would result in grapes that have a high water-concentration and not enough sugar. 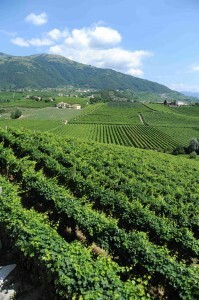 Most Prosecco vineyards are located on slopes with good drainage and gentle breezes that remove moisture after rainfall. The Charmat method, also known as the Tank method, is a process that transforms still wine into sparkling wine. After pressing, the juice, yeast and sugar are added to a pressurized tank to undergo a second fermentation. This second fermentation is the stage when bubbles are produced from the chemical reaction between sugar & yeast. The tank method is known for its low productions costs, fruity flavors and the great acidic balance that it adds. Prosecco grapes are a white grape varietal, also known as Glera, because they cannot be named after Veneto. All Prosecco’s must have at least 85% of the grape in its blend. In the mouth, Prosecco is medium-bodied with flavors of peaches, green apples or cream. 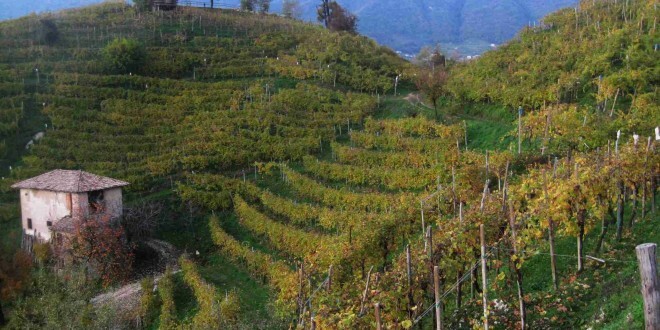 Prosecco has a beautiful acidity and fruitiness that cannot be matched. There are three different levels of sweetness for Prosecco, Brut, Extra dry and Dry. There are also different levels of sparkling, or carbonation. Proseccos that are lightly sparkling are called frizzante, and those that have more carbonation are spumante. This grape is a legend among sparkling wines and will remain a staple in the world of wine.